This 2 bedroom 2 bath cottage on the Oswego Canal is listed at $995,000 and offers plenty of opportunity for remodeling or building your new dream home. 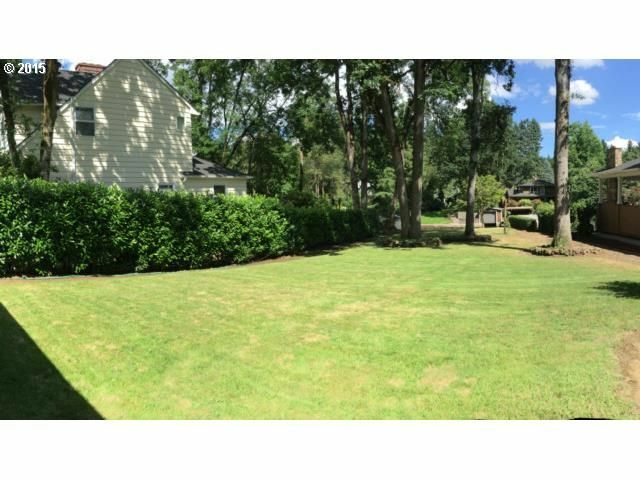 This large level lot (.30 acre) is something that’s hard to find on the main lake but a main selling point of living on the canal. Sometimes I think Lake Oswegans are divided into two camps: water people and non-water folks. Just this week I was touring homes on the market with a client who informed me that living on the water wasn’t important to him. He is interested in being able to walk downtown and live in a brand new home. The two aren’t mutually exclusive, but you will pay significantly more when you add those amenities to a home that borders Oswego Lake. I on the other hand, moved to Lake Oswego to live on the lake. Or, I should say, on the canal. For that I may get a little less square footage or an older home, but in return I get to live the lake lifestyle. And some of us who live on one of Oswego Lake’s canals may just say we get to live the better lake lifestyle. Why? Because not only do we get access to the lake, but in many cases, we also get bigger yards, quieter streets, flatter lots which gives us more usable outdoor space, and neighborhoods. While we may not have a lake view outside our windows we do see the water in our canals and the wildlife that brings, as well as human life in the form of paddle boarders, canoers, boaters and kayakers. Some clients of mine recently discovered this. They set out looking for main lake property but eventually bought on the canal when they realized they could get so much more house (and yard) for their money. Now they’re sold on canal front living and the amenities it brings like a quiet street and level backyard that holds a pool and outdoor entertainment center. The numbers tell the story as well. Currently there are six canal front homes on the market ranging from $930,000 to $2,450,000. The price for entry of a lakefront home is $1,465,000 and tops out at $6,950,000. Average listing price for homes currently for sale on the canal is $1,323,316; while the 18 lakefront homes average $3,326,333. 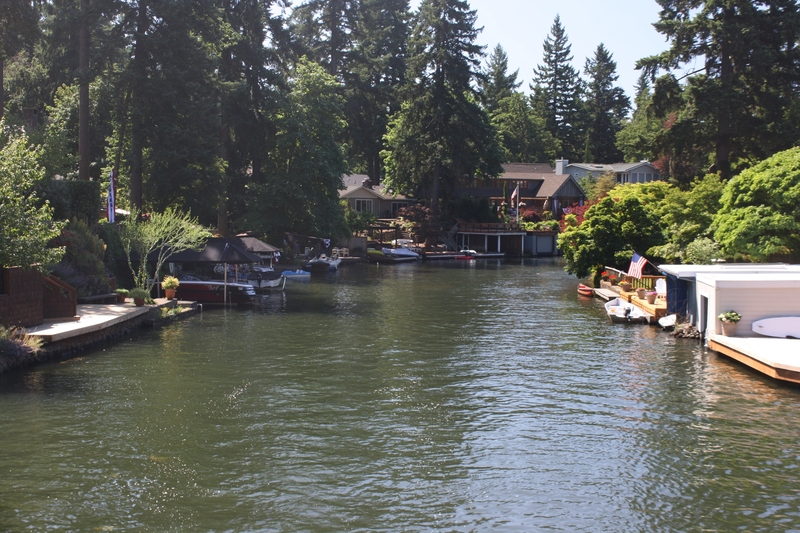 So you can see that if you want to live on the water in Lake Oswego, the canals offer a cheaper way in. Once here, you may decide to stay put; however, if the main lake still calls you, know that the desirability of canal living will make moving on an easy transition. Whether you fall into the water or non-water category, main lake or canal, I’d love to help you find a way to call Lake Oswego your home. 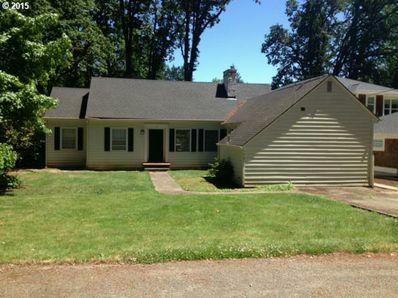 Give me a call at 503.939.9801 and put me to work for you. This entry was posted in Lake Oswego homes, Lake Oswego real estate and tagged canal home in Lake Oswego Oregon, Lake Oswego Oregon, waterfront homes in Lake Oswego Oregon. Bookmark the permalink.